Skin cancer prevention is one of those things that’s easy to take for granted. 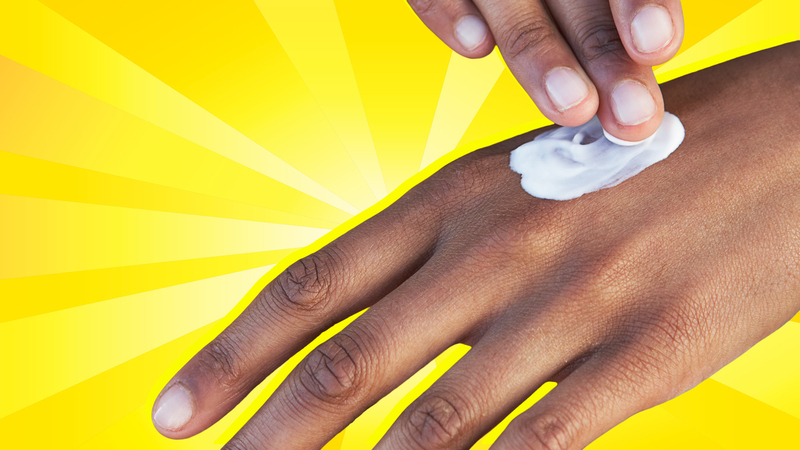 After all, if you just slather on a bit of SPF cream in the morning, you’re covered, right? Not so fast. According to experts, there are some key ways that many of us might be missing the mark when it comes to skin cancer prevention and protecting our skin. We spoke with Dr. John Fernandez of Cancer Treatment Centers of America to discuss some common myths and misconceptions people have about skin cancer, some key preventative tactics that everyone should know about and how we can all enjoy the sun-drenched summer months while still shielding our skin from the harmful effects of the sun’s ultraviolet rays. Implementing proactive cancer-prevention habits doesn’t have to be complicated, and armed with the right information, we can do a lot to help reduce our risk of developing skin cancer. Here are some of the most common myths about skin cancer and what you should know to protect yourself. While most of us are probably familiar with melanoma, basal cell and squamous cell skin cancers are also a concern, and in terms of prognosis, these cancers are very different. Treatment plans will vary depending on the kind of skin cancer a person has, but the good news is that all skin cancers respond well to treatment when caught early. “All forms of skin cancer have a really high success rate [with effective treatment] — whether it’s surgical, topical, chemotherapy or even radiation,” Fernandez tells SheKnows. According to the Skin Cancer Foundation, those with darker skin tones are still at potential risk for developing skin cancer. And while skin cancers are more common in fair-skinned people, people of color are more likely to receive a diagnosis of skin cancer in the later stages when it’s harder to treat according to a 2016 study published in the Journal of the American Academy of Dermatology — so prevention and access to effective skin cancer screenings are key for everyone. While some skin cancers do develop rapidly, others grow slowly over time. Dr. Gyorgy Paragh of the department of dermatology at Roswell Park Comprehensive Cancer Center tells SheKnows that some skin cancers develop quickly over the course of a few weeks, but others might be harder to spot. Most skin cancers show a slow growth rate over longer periods of time. The signs of skin cancer growth can be subtle; you might have a bleeding sore that doesn’t heal, for instance or one “sign of a problem might be [a] constant tenderness in a crusted bump or subtle growth of a scar in an area without prior trauma,” Paragh notes. He also advises that not all skin cancer lesions are black or brown or show up looking like the images we might see most often in the media. Skin cancer lesions can be pink-hued and might also have a scaly or scar-like appearance. For these reasons, it’s important to self-screen for skin cancer once per month, get familiar with your body and keep an eye on any moles or lesions you might have — bearing in mind that, according to Marlin, it’s not possible to determine if skin cancer is present with the naked eye alone. Along the same lines, Fernandez recommends skin cancer screenings by either your primary care doctor or a dermatologist once per year in order to monitor any changes in your skin and perform biopsies and tests as needed. While sunscreen is an important preventative step to take every day, it may not provide full protection from skin cancers, Paragh explains. Part of the reason for this might be faulty or inadequate application. He suggests that “if used in the recommended quantity and reapplied every two hours,” then sunscreen works as it should. That said, areas like the top of the head or any gaps in skin exposure where open skin and clothing meet, are harder to protect with sunscreen. Most skin cancers are caused by UV rays from the sun or tanning beds, and Rothman recommends avoiding tanning beds completely. For adequate sun protection, she suggests avoiding direct sun exposure between the hours of 10 a.m. and 3 p.m. while seeking shade whenever possible. Wearing broad-brimmed hats and covering up with long sleeves and protective clothing is also key. And always make sure to choose a good water-resistant sunscreen of SPF 30 or higher. Fernandez notes that in addition to chemical sunscreens, mineral sunblocks are also effective and are a great choice for children. For maximum protection, make sure to reapply your sunscreen every two hours and whenever you’ve been sweating or swimming. Remember that with a few key preventative habits and the right information, there’s a lot we can do to protect our skin as we enjoy the outdoors. So grab your sunscreen, throw on that hat, and enjoy these balmy days of summer.